Paul McDonald’s dreams of becoming a rock star has been cut short after America voted him out of the competition. 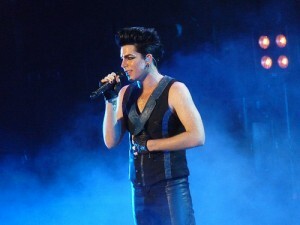 He is the first male finalists who have been kicked out from the top 13. 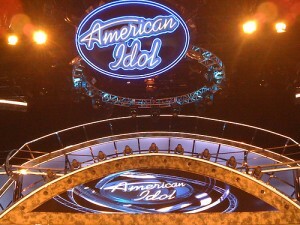 The 25-year old rocker sand Maggie May for the last time on the Idol stage as requested by Jennifer Lopez. J-Lo, one of the most emotional judges in the history of the show, was close to tears while McDonald sang his final song. After McDonald’s performance – his rendition of Old Time Rock and Roll – Wednesday, he landed on the bottom three spots with Stefano Langone and Haley Reinhart. Stefano was praised by the judges for pushing the envelope with his performance and they were all in shock when his was not sent back to the safety of the couch. McDonald really put on a show Wednesday and Randy Jackson even said that he wanted to borrow his suite – a vibrant, sequenced red suite. However, Steven Tyler was not very impressed and thought that his saxophonist out staged him. Seven hopefuls remain in the game: Scotty Mccreery, Haley Reinhart, Jacob Lusk, James Durbin, Stefano Langone, and the youngest in the bunch Lauren Alaina. Meanwhile, Pia Toscano who was ousted last week supported her friends from the crowd. J.Lo is widely famous for her curvy figure and flawless skin. Her good looks is even attributed to her good personal life now. She has avoided the thin-look, which became popular a few years ago. Since she signed up for “American Idol” last year, she has been the celebrity face of several products such as L’Oreal, Gucci children’s clothes collection, as well as Venus razors. The ‘American Idol’ alumnus was wearing a sparkly red dress with a slit all the way up to her waist. Her hair is nearly blonde and curled up in front that fits the old-school sound of her single. Fantasia said ‘Collard Greens and Cornbread’ is one of her favorite songs from her latest album. At the end of her performance, she said “Steven, I love you,” which was directed to Steven Styler, one of this season’s ‘Idol’ judge. 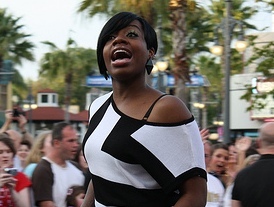 Barrino won the ‘American Idol’ title in 2004. She went through different triumphs and tribulations after winning the reality show and singing competition. Her recent scandal involved a cheating case between her ex-boyfriend Antwaun Cook and his wife Paula. She o attempted suicide when she was about to promote her album. Barrino broke up with Cook and judge cleared her of a wrongdoing case filed by her ex-boyfriend’s wife. Kelly Clarkson said on her official Facebook page on Tuesday that the release of her fifth and untitled album will be postponed until September this year. Clarkson’s fans will have to wait for a few more months before the singer’s new album will be released. According to the first season winner of the singing competition and reality show “American Idol,” her album has already been recorded, but cannot be released until then. The singer has kept her fans updated on the progress of her new album through the networking site Facebook. On Valentines Day, the Texas singer said they will release the album after they have recorded the final song on February 25. Although Clarkson is sorry to let her fans wait for quite a long time, she promises them that the whole set will sound great. Last month, Clarkson also revealed on Facebook that her album was influenced by several artists whom include Aretha Franklin, Prince, Radiohead, Sheryl Crow, Stevie Wonder and Tina Turner. She assured her country listeners that there will be a bit of country influence on some of her songs. Clarkson calls her album a “great pop record.” It was created with several songwriters and producers such as Eric Hutchinson, Howard Benson, Rodney Jerkins, Steve Jordan, and Toby Gad. The date of the album’s official release will be announced soon, the Sony Music said in a statement. Clarkson previously released her “All I Ever Wanted” album in 2009. It topped the Billboard 200 charts for two weeks with 913,000 copies sold based on the Nielsen SoundScan. “What Are Words” is a song ballad written specially for Medina by Rodney Jerkins, a Grammy-winning producer. The video, which came out on 19 Recordings through Interscope, has already garnered more than a million views on Vevo. At the “Idol” auditions, he sang his moving rendition of the song “Breakeven” by The Script. He touched the heart of the judges and millions of TV audience members worldwide not only because of the song he performed, but as well as his emotional personal back-story. Medina, 26-years-old, worked as a coffee maker at Starbucks before he tried out at the singing contest and reality series, American Idol. Apart from that, he also cares for her fiancée, Juliana Ramos whom suffered a traumatic brain injury. Ramos got into a car accident just few months before their planned date to get married. The “What Are Words” music video features the home videos of Ramos, including the recorded video of Medina’s proposal in the coffee house. Some old photos of the happy couples were also included. Just before the “Idol” finalists were announced, Medina was eliminated because of his less fantastic performance of a classic song by the Beatles. 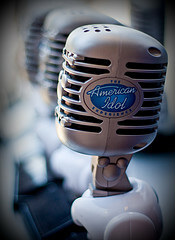 His elimination caused too much grief for Jennifer Lopez, one of American Idol’s judges. During a radio show, Medina was presented with $35,000 by Ryan Seacreast. It will go to the foundation to help his fiancée recover. A percentage of the song’s iTunes sales will also be given to the Juliana Recovery Fund. The Fox television network revealed a midseason overhaul to its primetime lists of shows, as well as the big shift for the number 1 rated singing competition, American Idol, on Friday. 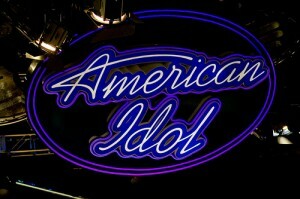 American Idol also takes part on this big change as they reveal their new judges Jennifer Lopez, as well as Steven Tyler. They will debut on Wednesday, January 19. The second night wherein the contestants will be eventually eliminated will be aired on Thursday. Other great programs that Fox will bring this month of January and February include a police drama, “The Chicago Code,” and another comedy show, “Breaking In.” This will take part on the middle point of 2010-2011 U.S TV season.